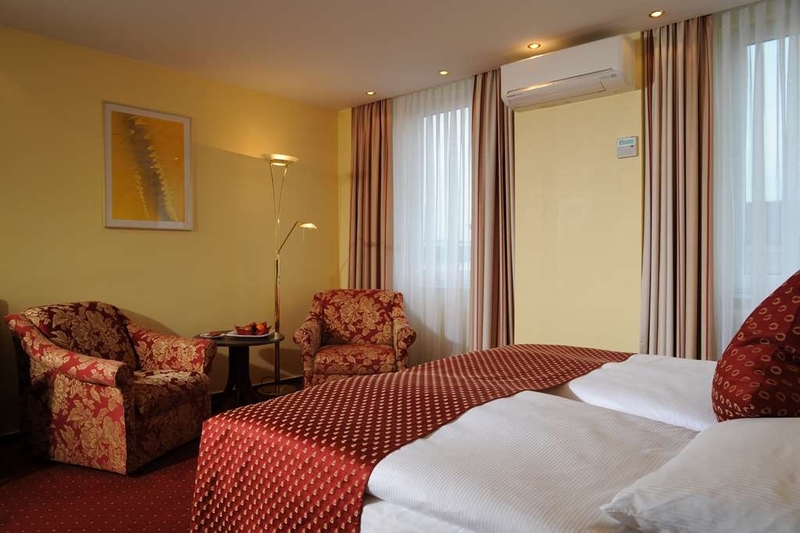 The Best Western Hotel Zur Post is ideally located in the center of Brême. Come and experience our hotel near the major tourist attractions. Best price guaranteed and exclusive deals. 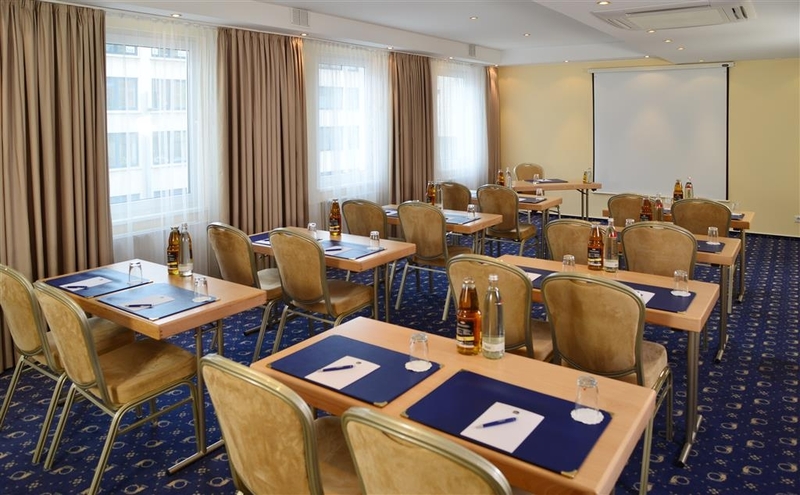 The 4-star Best Western Hotel Zur Post is centrally located, opposite the main station within a 10-minute walking distance to the city center, 500 meters to Congress Centre Bremen and six kilometers to airport Bremen. The hotel offers 175 rooms including two suites. Our wellness area is about 1,600 square metres and offers a big gym with 30 workout stations, fitness classes, aqua fitness, swimming pool, whirlpool, beauty farm, massages, saunas and solarium. Please feel free to use the wellness area for an additional fee. Bremen levies a city tax. The city tax is already included in the room rates. Enjoy your stay. 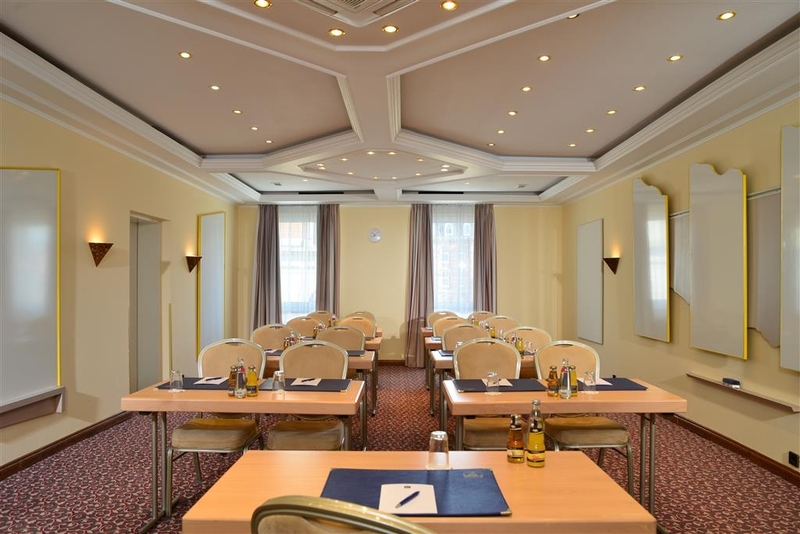 "A nice hotel with a central location"
With the central station close by, you stay in the city of Bremen. 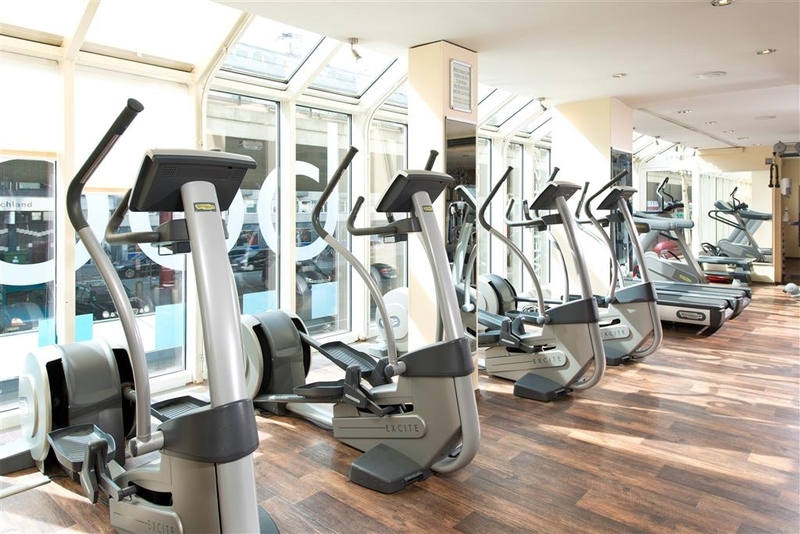 The hotel has a hugh fitness center, with gym, sauna and a pool. A nice breakfast is served and the hotel offers good service all the way. On the negative side, it starts to get really old fashioned in a need of a renovation. Be aware of the heavy trafic on the other side, so the advice is to chose a room in a quiet area. "Stay overnight for Christmas visit"
We booked 2 rooms for 2 couples when visiting the Bremer Christmas market. Despite being close to the main railway station the noise inside is practically gone (rooms closed of course). People at the reception were friendly and helpful. You can park in front of the hotel for 30 minutes and as our car is higher as 1,65 cm, we were directed to another parking place a few hundreds of meter away and easy to find with GPS. The hotel give a reduction voucher for the parking. We had a standard room which was compact but clean and a good bed. The hotel is looking a bit old / used but everything is clean. The bathroom was rather small but OK with a perfect working shower. In the morning we had an extensive breakfast with a large variety of choice in food and drinks. Looking back i think we spent about an hour there. A very friendly lady was taking away the waste of the table during our breakfast. we got the family room it was spacious and comfortable. The breakfast was very enjoyable. our 8year old loved making his waffles. Staff friendly and speak english..Shopping is a 8min walk and fabulous. Really say, the expectation from 4-star hotel was much higher. The room equipped on a very basic: almost nothing of toilet accessories, no iron, no shoehorn... The door sealing is bad, you feeling all voices and happens in corridor as you there. 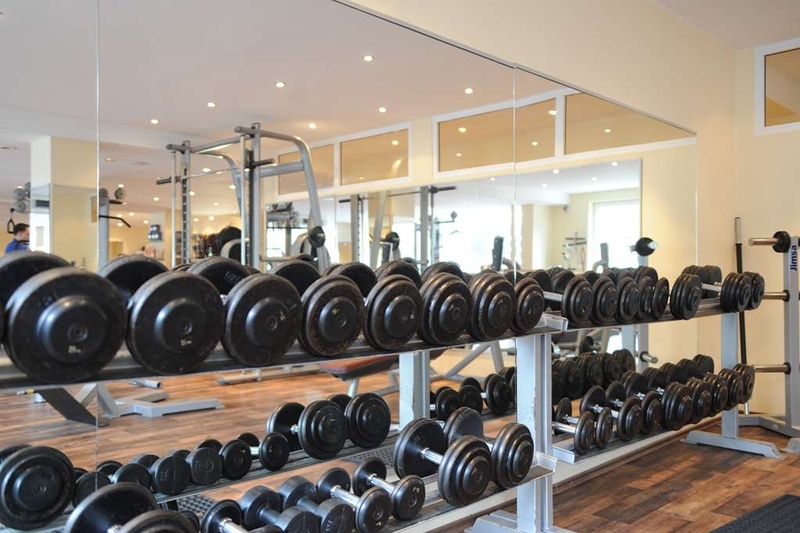 The bed is comfortable, breakfast Ok, the gym and wellness center are real advantage. Location is good - next to train station, 10 min walking to city center, garage if you come with a car. We arrived by train and to our relief the hotel was across the square from the station. We received a warm welcome from reception staff who provided us with information on the local area and its restaurants. Our room was lovely, spacious, immaculately clean and the bed very comfortable. 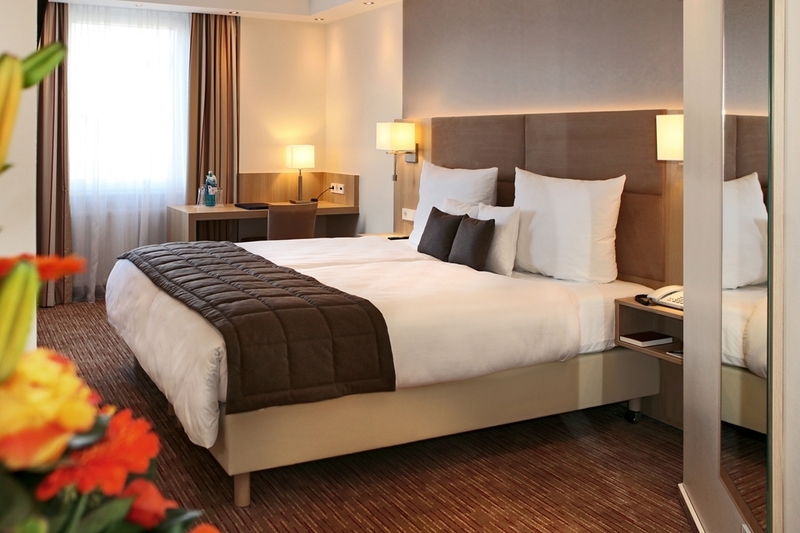 The hotel is only a short walk to the city centre and from there onto the Schnoor district which is a must see. Old and quaint. The breakfast on offer was tasty and we enjoyed both hot and cold dishes. Loved our stay. Old furnished and far to expensive. We payed 140€ for a night and are used tp have more comfort for that money... You can hear every word in your neighbours room and the staff is unfriendly andnit professionell​. For example two of them were arguing for about an hour in the morning and believe me, you can't sleep with that noise. Positive is the location next to the oldtown and at least it was clean. Dear Bruscetta, Thank you for your respond, we will speak to our staff, thats not our standard, im sorry. We arrived early at 10 am after an even earlier Ryan Air flight. Despite the fact that officially we could not check in until 3pm they did their best to accommodate and had our room ready for us at 12 and in the interim placed our luggage securely in a locked room. The room on the 5th floor (No 523) seemed to have been recently refurbished and was surprisingly large with a unit with a fridge and rotating tv which divided the room into a living area and sleeping area. I was confused to see two single duvets on a double bed but my wife quite liked the idea and apparently this is very common in Germany. The bathroom was contemporary in design and had a shower, the only thing that let it down is that the water constantly sprayed out of the confines of the shower onto the bathroom floor and the very large mirror completely misted up after a few minutes of the shower running, otherwise it was very pleasant. There was also free wifi which was at a speed suitable to allow for video streaming, an in room safe safe and complimentary robes and slippers The included breakfast was delicious, with both cooked and cold choices available to tempt your palate and served buffet style. Overall a very pleasant stay, albeit no view from our windows worth looking at, but then we did not plan to stay in the room all day and occasionally the sound of bottles being thrown into a skip and breaking could be heard. One last thing to bear in mind is that there is a small city tax charge to be paid on departure. "Central location, spacious rooms, good breakfast"
While the hotel isn't extremely modern (late 80ies, early 90ies - and can see it from interior design), it is still in good shape and kept clean. The location is excellent as you have about a minute walk from the central station, few minutes to the exhibition hall, and can access downtown within minutes, too. The rooms are spacious (actually my room was more like a suite), clean and well designed (even though colors, design, etc. are definitely a bit dated, it is still absolutely OK). 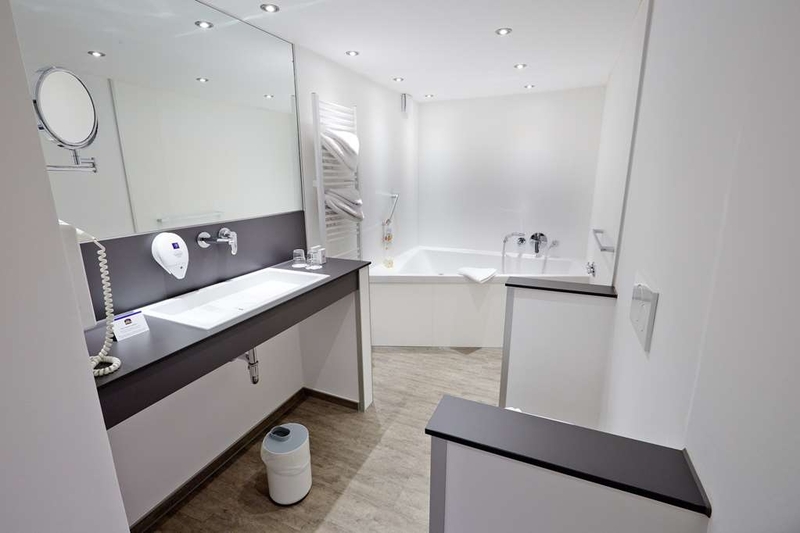 The bathroom was recently refurbished and offered a pretty spacious bath tub, wash desk and all amenities one would expect. The hotel staff is friendly and helpful. Breakfast is served on the first floor in a nice restaurant and offers everything one would expect of a breakfast buffet. Big plus: The hotel allowed me to leave my car with them in their garage for the whole day after check-out - but be careful, if you have a larger car: the garage is only 1.65m high...! Stayed at this Hotel on an overnight stop heading back to the ferry at Rotterdam. What a lovely surprise to find we were staying in a first class Hotel. Our rooms were absolutely gorgeous, everyone in our party of 37 people all agreed. The decor was light airy and spotlessly clean, lovely comfortable beds with beautiful white bedding. The staff were very friendly and helpful. Good WiFi. Free of charge. They only do B&B and don't have a Restaurant but their breakfast fantastic and the breakfast room absolutely gorgeous. I only took photos of the bathroom, and bedroom as didn't get the chance to take photos of their breakfast room. But hey! Go stay there and see for yourselves. "outrageously expensive and poor experience!" Do not go there if you can avoid it. I payed 130 euros / night, for an old-furnished and creepy single bed room. You can find cheaper and much better in Bremen. In this price range, it is the worst hotel I ever did in my life, and I travel quite often!! I rate two stars and not one because the staff & breakfast were really nice. Excellent service. Hotel is very clean and the room size was reasonable. They have a resturant and bar. Their buffet breakfast is included in the price. It's one of the best breakfast I've had in Europe. Eggs, bacon, meat and cheese platters, all kinds of brotchen and breads, juices and lots more. You go Best Western! Just like in the USA. I will definitely be back! "Great service, a little too much noise." 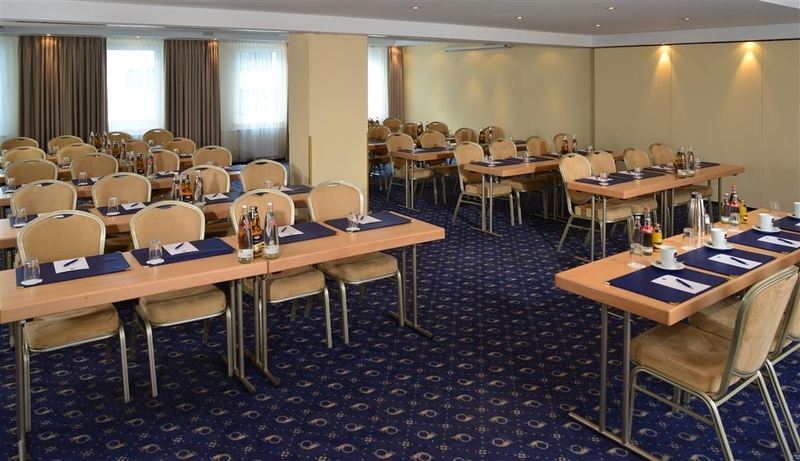 The hotel is located close to the bahnhof and ideal for restaurants and bars. Possibly shopping too. The arrival was very pleasant and the receptionist was super friendly and helpful. My only little trouble was that my room was facing the street with all the bars and restaurants. And as there was no AC in the room I had to sleep with an open window. It might be better during the week than at the weekends, but the noise from the street was pretty annoying at times. Apart from that, a good hotel. the room was very basic for a 150 euro a nght hotel. Everything else was fine- just seemed overprice dto me. Service was ok- so was the breakfast. The wifi was annpying- very long username and password and i had to type it in 3 times in 18 hour stay. Thank you very much for your reply. our Prices do vary depending on congresses in the City etc. "Very centrally located - parking limited"
I stayed one night at the Best Western Hotel zur Post because of a business meeting the next day. What I liked - Very centrally located, good for sightseeing - Very nice bar, stylish and modern - Good speed of the free WiFi - Large rooms (city hotel!) What I did not like - the parking situation is below average. There is a garage but only use it when you believe you are a good driver. The height of the garage is below 1,90m so tall people cannot walk straight. We got a very small spot in a corner and managed to get the car in - but it took us 10 or more turns. - Friendlyness and attitiude of the staff is average. Slow service in the bar - No restaurant on premises I can recommend staying here. 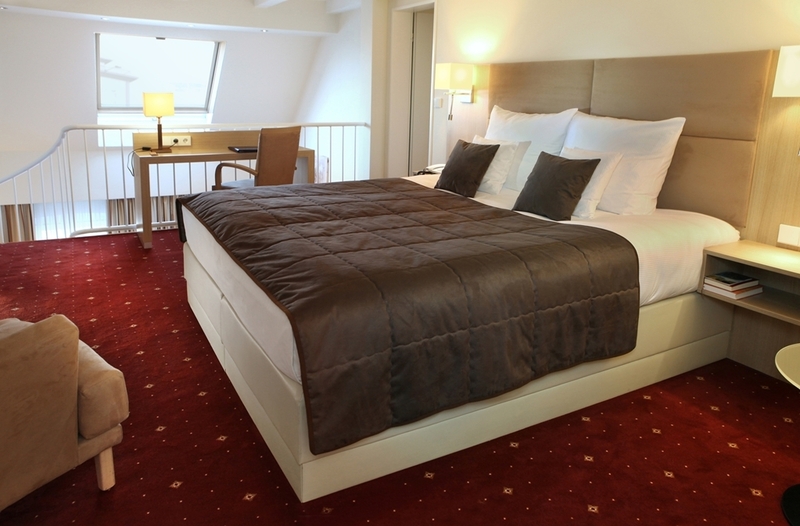 "Quite place at city center, well renovated rooms, good breakfast"
Near the main station is sometimes not a good adress but not in Bremen. Peaceful quite place, centre in walking distance, a lot of restants nearby. Not the newest house, but all the rooms well renovated. The staff is helpful and friendly the breakfast has a lot of choice. thank you very much for taking the time to send us this Feedback. We are very happy to see, that you enjoyed the time in our Hotel. We are looking Forward to welcoming you again. Location is good, by the central train station. This place smells of cigarette smoke. Room was noisy - worst sleep for a while - noise can be heard from outside, and other guests slamming their doors shut. Worst thing though - in bed I felt like something was biting and itching... horrible. Don't stay here. We are very sorry, that we did not meet your expectations. 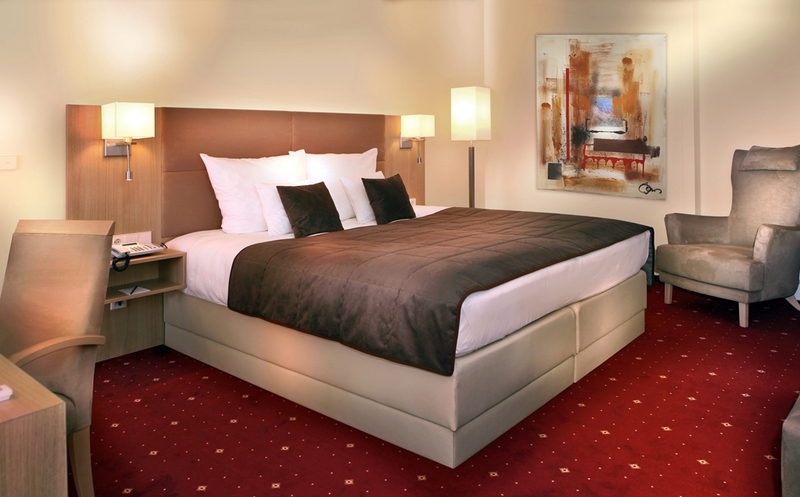 Our Hotel is in the City centre only a few minutes Walking distance from the market place. Of course, with that Location you do have some noise from outside. Please make sure you order a non Smoking room next time. We are more than sure, that we do not have any insects in the Hotel. Thought I had done a review after staying here but not sure why it is not shown. On arrival was welcomed by excellent front desk staff who excellent with help and advice on where to go and what to visit. This was only a short one day visit. Room was excellent, spotless throught with plenty towels etc. Plenty room with wonderful bed and and great work area. WIFI was perfect and overall a fantastic stay. Wish I had longer. Thanks again to all who made my stay perfect. Many hotels could learn how to treat customers from the staff here. Will be sure to return. If you do find yourself in this wonderful ciy be sure to visit the Windmill in the park near the city center. We are very sorry that we did not meet your expectations. We are presently renovating and refurnishing our Hotel. May be the new rooms are more your taste. We booked it for a wellness weekend. But it was not worth the money. Location is good but the rest is not worth the visit. The rooms are old and you can here everything you neighbour says or does. The shower is in the bathtub and the room was small and not very well maintained. The wellness area was not in the best shape. Not again! Not even for business! Thank you very much for your Feedback. We are very sorry, that we did not meet your expectations. We are presently renovating our rooms. May be the new style is more of your taste. "Great Location, breakfast and facility"
Thank you very much. We are looking Forward to welcoming you again. "All in all, nice place"
"A good room is a lottery"
I stayed 13 nights on 5 different occasions over the previous few months. Most of the staff are pleasant, some are not so nice. "power trippers" The reviews on this site are varied because the room finishes are from bad to good, this hotel has an overall 4 star rating but this begs to be answered as to how? Some rooms are air conditioned some are refurbished. 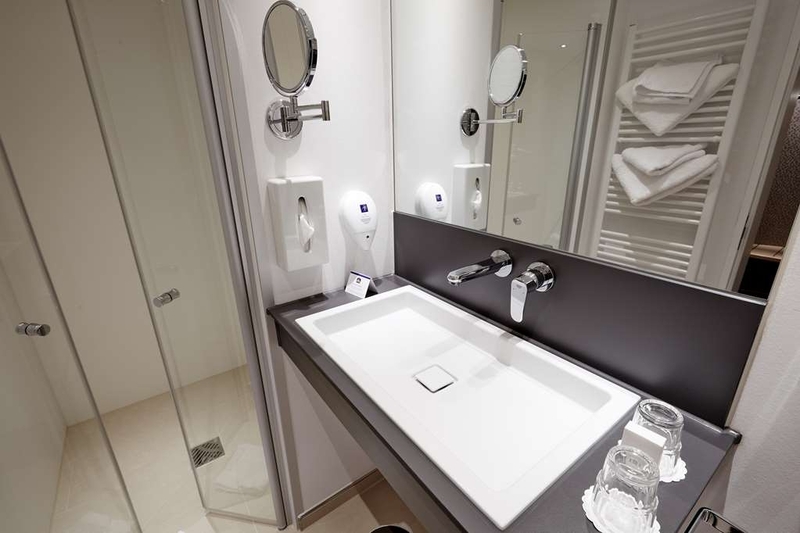 Some rooms are tiny shoe boxes with showers you bump into taps and cannot properly move. 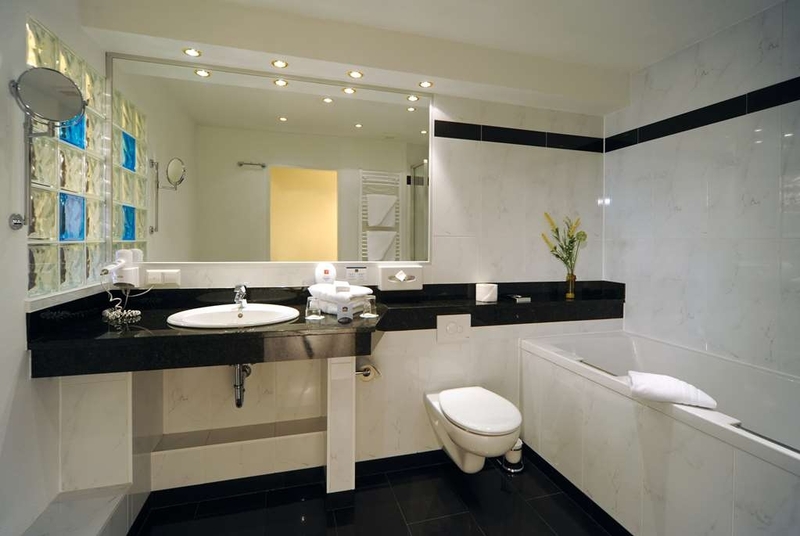 Some rooms are very comfortable with excellent beds and walk in showers with great pressure. Some rooms are stuffy and noisy if you open the window to cool down. The problem is when booking you won't be able to pick the good from the bad as few options are given on the BW web site. As a BestWestern Diamond member I choose BW for recognition and of course the points that come with membership which can be used for other stays, but here at Zur Post you're treated as just another guest. You won't always get a welcome drink and you won't always get points for your stay. Priority and the best rooms would seem to be given to those arriving on tourist busses. (This is probably not right but that's how it feels!) The breakfast is good although some times slow to be replenished when busy. Car parking is overpriced 16 euro extra per day. (It's very low so beware if you're tall) There is a gym and pool but its use also comes at an extra cost. Proximity to the train station is excellent and an easy walk. Overall this hotel is in the upper price range for Bremen and apart for its close proximity to the train station does not offer any where near the quality of other hotels I've stayed in Bremen such as the Swisshotel, Stiengenberger, Marriot Courtyard which are often comparable or better value. So you can get lucky and get a great room and wonderful service and recognition of BW loyalty or you can luck out and have one of the most uncomfortable hotel stays you remember along with indifferent rude unhelpful staff who have trouble understanding who is the customer. Will I stay here next week and recommend my colleagues do the same? Probably not! There's a better quality choice 30euro per night better value, they will charge for an excellent breakfast, 8euro for parking and I'll miss out on points but it's my choice something some of the staff at Zur Post have a struggle comprehending. This is a very detailed feed back thank you very much for it. We are very sorry that obviously we were not always Aware of your Rewards Status. Since we do get reservations directly via the booking System, which does not refer to our profiles, it is very difficult for us to Keep updated who is a member and who is not. It would have been a big help, if you would let us know, when checking in. 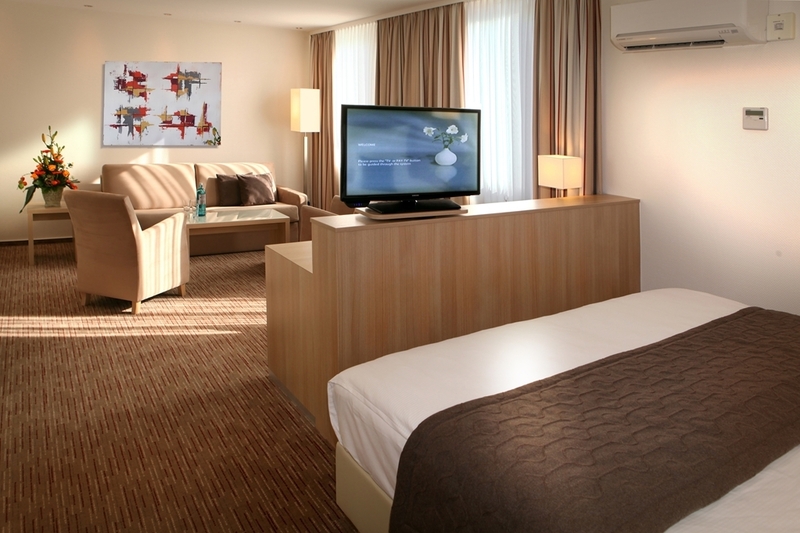 We are presently refurnishing our rooms one by one, this is the reason, why you do feel that the Standard does Change. We are sorry for that. We do hope, that all the rooms will be renovated by end of 2017. Location: I didn´t expect that it is very near to the HBF. Upon exiting the main station, you could already see the hotel from the right. It´s just a minute walk or two. I came via train from Hamburg so I am not that sure if it is near to the airport. I didn´t even buy any bus/tram card during my stay in Bremen as everything is accessible by feet from the hotel. 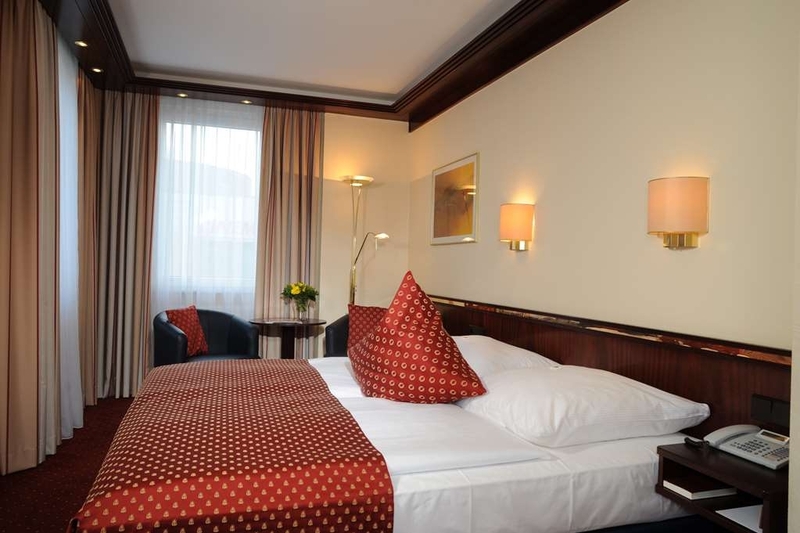 With just a few minutes walk from the hotel, you are already in the Old Town and Marketplatz. 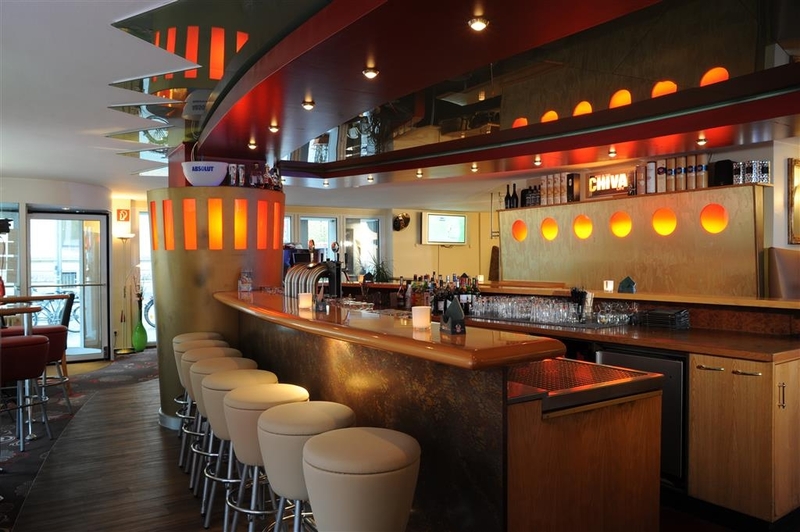 There are also some restaurants around the hotel or in the main station (food stalls). Room: The room is OK-OK.. I booked a business room. it is good for 2 person and just enough space. 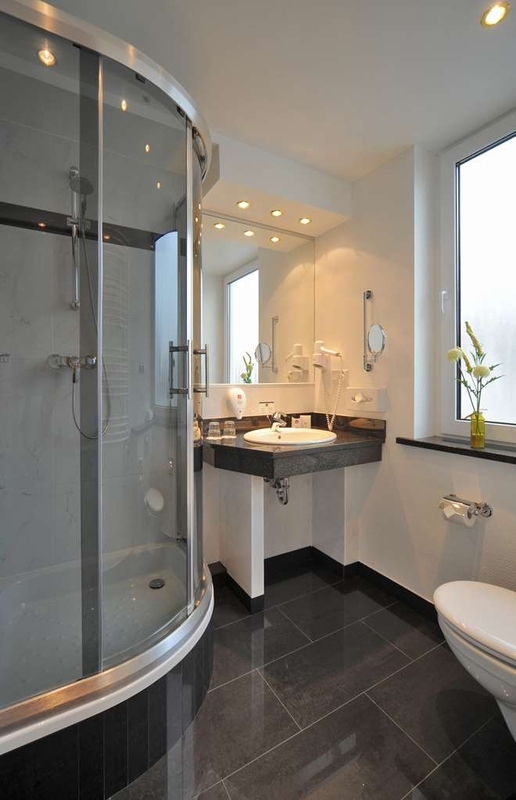 Quite a bit small bathroom though it seems to be newly renovated. Room has also good air condition and wifi connection. Staffs are also friendly. I´ve arrived early at the hotel and the attendant immediately asked me if i want to leave my luggage while waiting for my room. Thank you very much for your Feedback. We are happy, that you enjoyed your stay with us and are looking Forward to welcoming you again. First of all the location of the hotel is great. I'm the vicinity to the main station and just a footwalk from downtown and the main attractions. The check in was quick and the front staff very friendly. The rooms are ok but more on the lower end of four stars. The comfortness was ok and the breakfast buffet was good. The time I was there it was very busy but the staff managed it to service you fast. The garage of the hotel is an adventure of its kind.I have not seen a smaller place than this before. The maximum hight at one point is about 1,70 meter and when fully booked parking is tricky even with a medium sized car. The ceiling is so low that when opening your trunk you hit it. Thank you very much for your Feedback. We are very sorry, that we could not fulfill your expectations in every respect. We are happy to say, that we are presently refurnishing our rooms and are hoping to have all rooms done by beginning of 2017. Please ask for the public Garage, the next time. It is only a few minutes away and may be more convenient for you. The hotel has an excellent location , especially for those traveling by train. 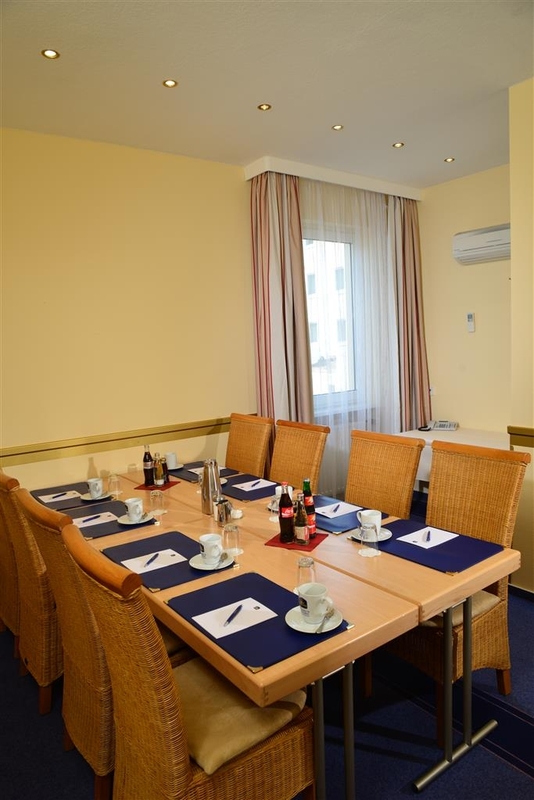 The rooms are very confortable and the breakfast has a wide choise of options. The receptionists are friendly and meet us with a smile. The only aspect to improve is the decor of the public areas of the hotel - slightly dated. My partner and I stayed for 2 nights as a birthday treat without kids! On arrival the hotel receptionist told us they had mistakenly put us in a smoking room, despite my specifically asking for non smoking. On inspection, the room was smoky and, as I am asthmatic, I knew I would not feel well staying there. The hotel offered us two single rooms for the first night - they told us all the hotels in the vicinity were full so we had to accept. On the second day hotel staff removed our belongings to a double room, losing some in the process, including an expensive new razor. When I complained to reception no solution was offered. I noticed a sign on a wall saying that Best Western members should receive 2 free cocktails in the hotel bar - I had to go and ask for these vouchers, which were given grudgingly. Once we had had our drinks and the bill came I offered the voucher only to be told this was only valid for a very limited selection of drinks and we had to pay for the drinks we'd had, but this was not pointed out to us before then. Breakfast was very very good. Staff attitudes were mixed, some polite and some surly. Dear Kirsten, Thank you for your feedback. On behalf of our entire team, I would like to apologize for not exceeding your expectations. We are really sorry, that we don't gave you the room that you booked. Of course we will speak with your Bar-Team, what there were happened. We are sorry for this too. This is not the service, we want to give to our guests. We will use the feedback you gave us to implement improvements to ensure we provide a better experience in the future. We would be pleased if you would again give us the chance to convince you of our Hotel and our service. 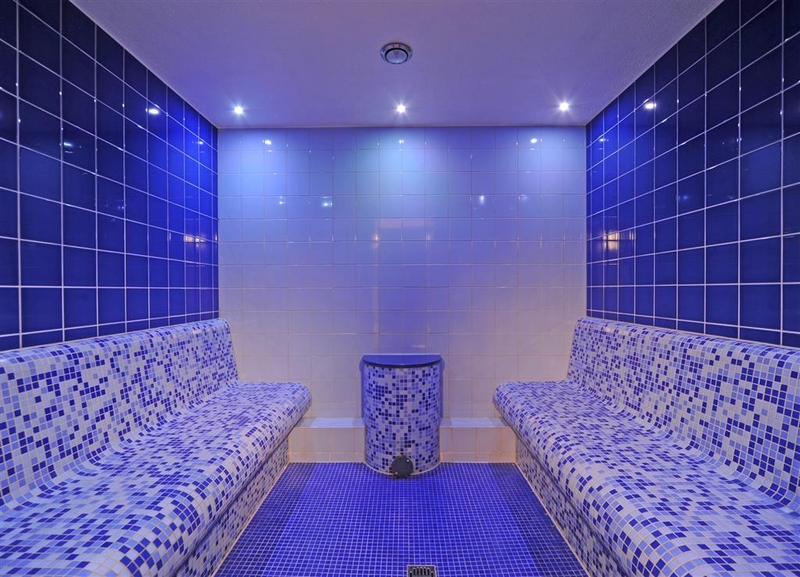 We booked this hotel at short notice and was not disappointed. It is so easy to get to from the airport - Tram 6 to the station and the hotel is just across the road. Not so easy on return as they were doing works to the Tram station so we had to walk and catch a connecting bus. Not the hotels fault and did not take long! The greeting upon arrival was so welcoming. We were early and our allocated rooms were not ready but they offered to see if they could find alternate rooms. We told them not to worry and left our bags with them and went off exploring for a couple of hours. All the receptions staff are so helpful both before and during our stay. 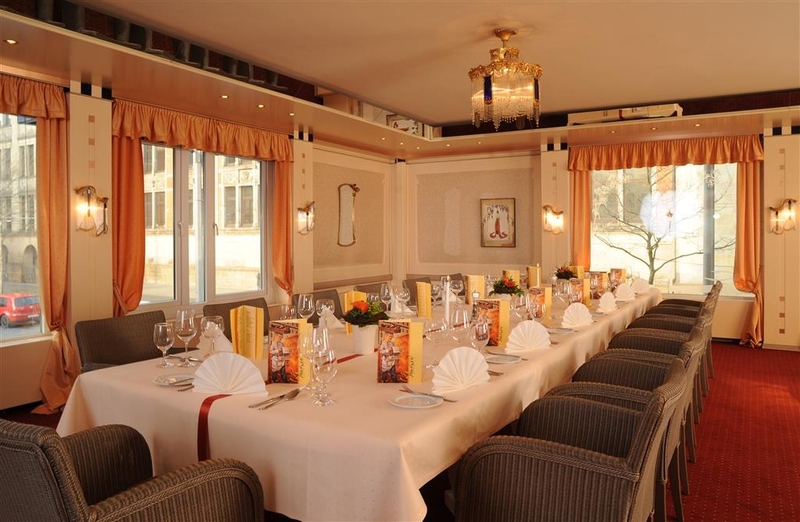 Hubertus Kupiec was particularly helpful in securing a booking for us at the Ratskellar Restaurant - our German is not so good so we would have struggled. Our rooms were light and spacious and even though ours was at the front we did not find it particularly loud and that was with the windows open! The leisure centre is good but the hotel is missing a trick in not adding the charge to the cost of the room! The breakfast is to die for. There is nothing they do not provide and we were pleasantly surprised to see sparking wine available. To start the day with Bucks Fizz and Smoked Salmon was a delight. The hotel bar is an added bonus at the end of the night and the prices are very reasonable too! The staff even knew our drink order at the end of the day. Excellent customer service throughout. Thank you! Dear Susan, thank you so much for your great feedback. We hope to see you again next time. "Nice, friendly hotel close to town"
I stayed here for just one night recently on my long journey up into Scandinavia through Germany. Situated very close to the towns historic main train station, it is located convenient for a wander around town just a few hundred metres from the old town. We ate with the rest of our travel group in the hotel's restaurant. Although it was a fixed menu, part of our package, the meal was very nice, served efficiently, and the staff were completely unflustered. Our room was spacious and very comfortable, albeit quite warm as I couldn't fathom how to control the underfloor heating in the bathroom. My only regret was that, as we were just passing through on an overnight stop, we could not take advantage of the hotel's spa and health suite. Unlikely as it is, I wouldn't hesitate to stay there for a longer period and enjoy the town more. 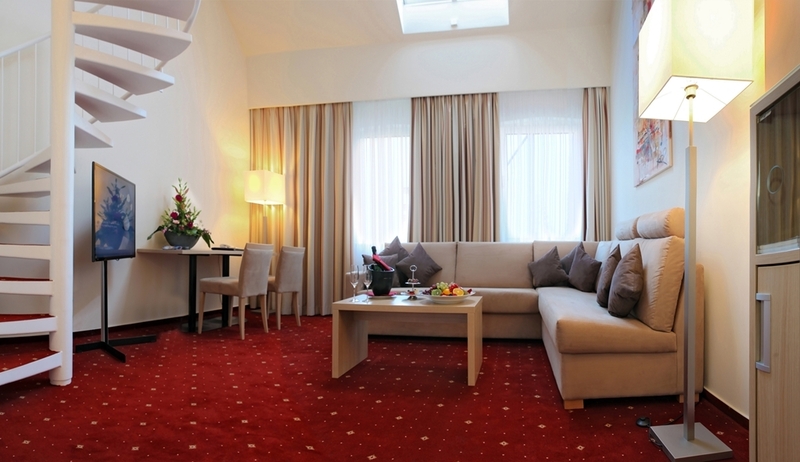 The Zur Post is a convenient hotel in central Bremen. It is good for the railway station and the airport using the number 6 tram. The breakfast is very good and starts at 6am. There is no restaurant for evening meals but there are plenty of independent ones nearby. It is less than 10 minutes walk to the middle of the city where there are shops and historical buildings to view. This is a decent quality hotel with good service. The only thing that I dislike is that the hotel bar is a sports bar. I would much prefer a bar with no TVs at all so I can relax with a drink or a snack. "Fab hotel for short break"
I travelled with my husband for a child-free two night stay to Bremen to celebrate 20 years together. The hotel was very easy to get to from the airport - a number 6 tram took us straight there in 15 minutes - just get off at the main train station stop and it is a minutes walk from there. The staff were very helpful and friendly on check in. Due to other reviews I had requested a room at the back of the hotel as I am a light sleeper and didn't want any tram/bus/train station noise from the front of the hotel. We were given a large room with a separate office area, two fridges and a great bathroom which had a separate toilet room within it. The bed was not a double, but two singles pushed together but this didn't really bother us. The free wifi was good and allowed me to use my phone and tablet no problem. I actually slept the best I have ever slept in a hotel as we were able to open the windows at night and avoid the stuffy room scenario that i find so hard to sleep in - there was no noise to speak of! Breakfast was served between 6.30-10 and was very tasty. Lots of choice including fresh fruit salad, yogurts, quark, selection of mueslis and cereals, lots of toppings like seeds and dried fruits, five different types of bread as well as different rolls, pastries and cake. Hot food included boiled and scrambled egg, bacon and sausages and there was a good selection of cold meats, salmon, cheeses and salad. Drinks included coffee, lots of different teas, juices and even sparkling wine! Soya milk and lactose free milk was also freely available. I didn't use the gym but did use the swimming pool and jacuzzi, both of which were great. Underfloor heating made padding about a pleasure! Bath robes and slippers were provided in the room for use in the spa. Top tip - the use of leisure facilities costs 6 euros each visit, but if you sign up for a Best Western loyalty card (free to do. I got mine before I travelled through the Best Western website but i think you can also sign up at the hotel) it only cost 3 euros which I think was totally worth it. I didn't use the sauna. There was a separate 'Ladies sauna' next to the pool, which (as is normal in Germany) you must not be clothed in. The hotel cocktail bar was a nice place to hang out in before and after going put for dinner. They have a happy hour on a Thursday night between 6-10pm where all cocktails are 5.50 euros. My favourite was a French mojito, which involved chambord, rum, mint and raspberries - absolutely delicious. Bar snacks were available and cheaper than you would expect for hotel bar - 3 euros for a large basket of french fries. The location of the hotel is ideal for sightseeing. A short walk from the old town, the Schnoor district (with beautiful quirky old streets full of interesting shops), the riverside and the huge Burger (people's) park (behind the station). The hotel is also only 2 or 3 doors away from the excellent and well priced Edel Weiss restaurant, where we ate dinner the first night. I would stay there again if we came back to Bremen. 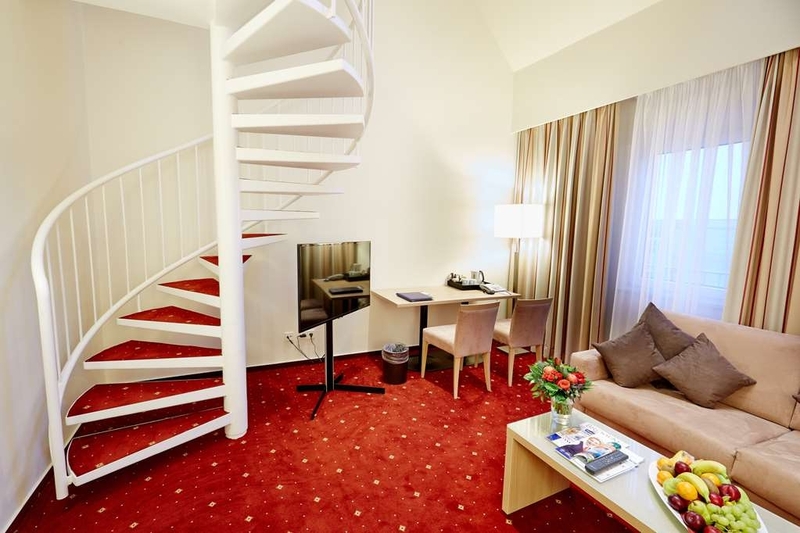 This was a nice hotel in the central of Bremen, was perfect location to see the city and very accessible to transport links, especially to and from the airport. The hotel could use a bit of updating and it would be great if the room service menu was more extensive. the spa facilities was good, but the indoor heated pool could have been "heated" and the Jacuzzi could have been much warmer. However, it was very relaxing and welcoming. I would stay at this hotel again as the location is fantastic! And the staff was very friendly! Just need to take room service tray away sooner rather than waiting for cleaners the next day. Thank you very much for taking the time to send us this detailled Feedback with a lot of useful hints and recommendations. We really apreciate it for it will help us to improve our Service. We are looking Forward to welcoming you again. 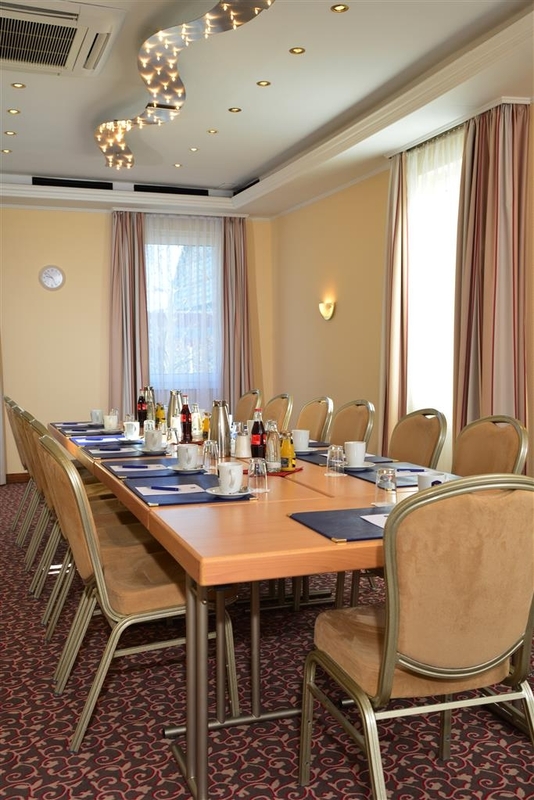 "Nice hotel in bremen center "
Excellent, centrally located hotel, easy to find with parking. Walking distance to the historical city center. Breakfast buffet is great. Plenty of places to eat in town. Spacious rooms. with particularly comfortable beds. Quite hotel with limited parking in garage for smaller cars. Although you must pay 6 euros more for spa access it is worth it. Easy on/off from highway. You must ask for washcloths too...I read that in another review and although it took a while for them to find washclothes, they did deliver. Thank you very much for your Feedback. We are sorry that it took a while to deliver the washcloth. We will find a better System. an "plenty above Best Western average" experience in a nice Room with plenty of space, free swimmingpool/sauna acces and a good breakfast for a reasonable price (i paid 92€ for a double room + 16€ for 30+ hours of in house carparking). I will repeat! thank you very much for your feed back. We are happy to hear, that you enjoyed your stay with us and are looking Forward to welcoming you again. 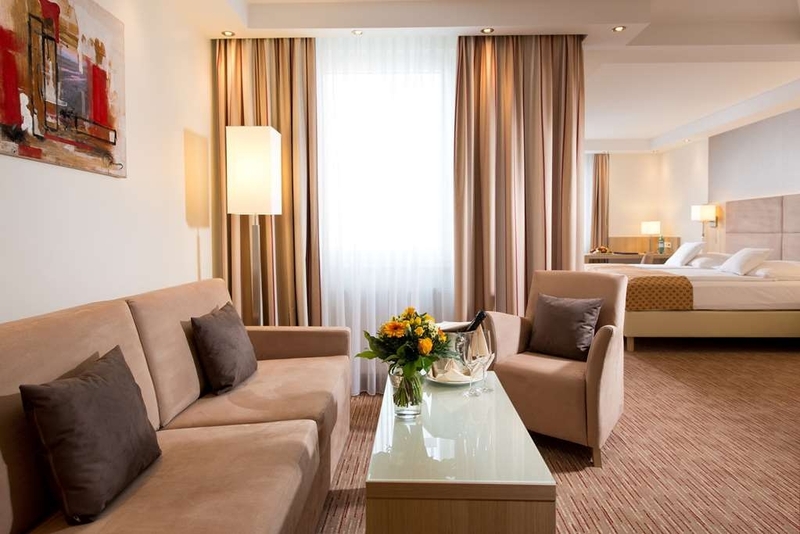 "Ok but a bit disappointing"
To be honest, when my company sent me the booking info regarding to this hotel I thought "I am lucky, it is a good name" however it is a really old fashion hotel with narrow rooms no really confortable. The best point was the quality and variety of breakfast and not bad location. The hotel is just beside the main station and there are lots of restaurants nearby. 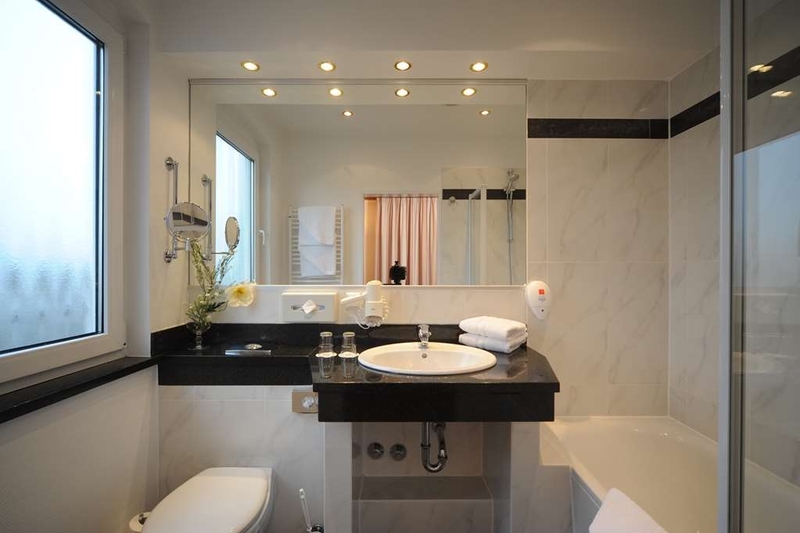 The decoration of the room was a little old but the bathroom was new and clean. There are free internet pc and coffee in the lobby, which is very thoughtful and heart-warming. The breakfast was delicious with lots of choices. Especially the sweets from the lobby cafe tastes like heaven. Thank you very much for your feedback. It is good to read, that you enjoyed your stay with us. We hope to see you again soon. I just wanted to give a mention to one specific member of staff.. Hubectus Kupiec. when my wife and i arrived early we were told our room was ready for us, which we had not expected, we had been ready to leave our bags and go out to explore Bremen. Hubectus invited us to join Best Western loyalty program (for free) he explained all the great benefits including free upgrade. we obviously did join and had a lovely stay at the hotel. Breakfast had plenty of choice and we found everything more than satisfactory. 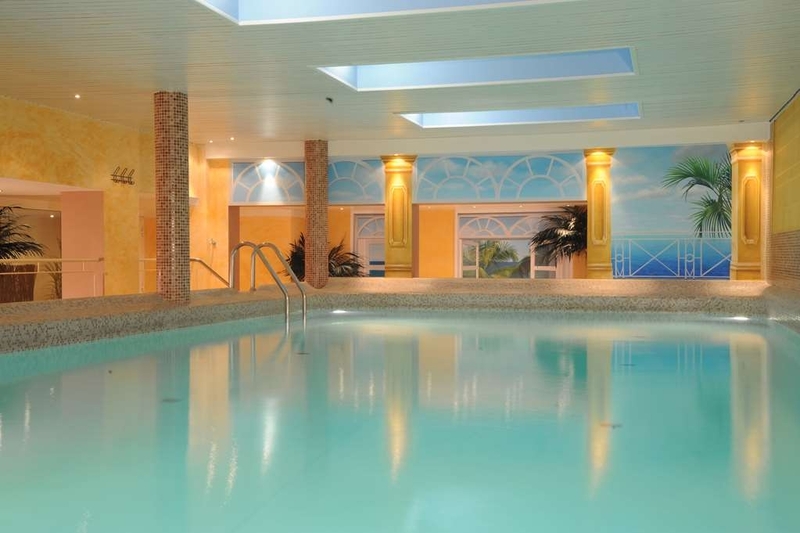 The spa was so relaxing and pool more than adequet but as another review has mentioned it is a bit of trek about the hotel to actually get to it. Location of the hotel is great for transport to and from airport. Number 6 tram, we got two day pass for two adults for 20 Euro which you could use on all bus/trams. also just a few minutes walk to centre. The only downside is that it is across from the main train station and we found lots of men hanging around, day and night, it could feel alittle uncomfortable for young ladies. Thank you very much for your feed back. We are happy to hear, that you enjoyed your stay with us. We will of course Show your feed back to Mr. Kupiec, who will for sure be very happy about it. "Nice hotel in the center of Bremen"
This is one of the hotels that came up in my search for Bremen and met my criteria (business trip). Budget-wise, it is one of the best choices. I was a little disappointed with the room size and location of the bed (in the corner of the room like a prison), but to be honest, don't let the looks fool you! 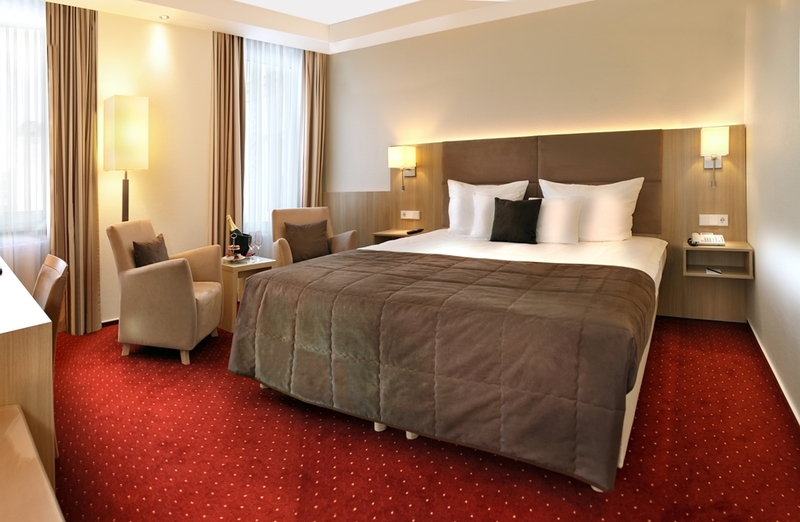 The bed was very comfortable and the entire room was very clean -one of the cleanest I have seen-. The rooms has all you need in a compact style that really impressed me afterwards. 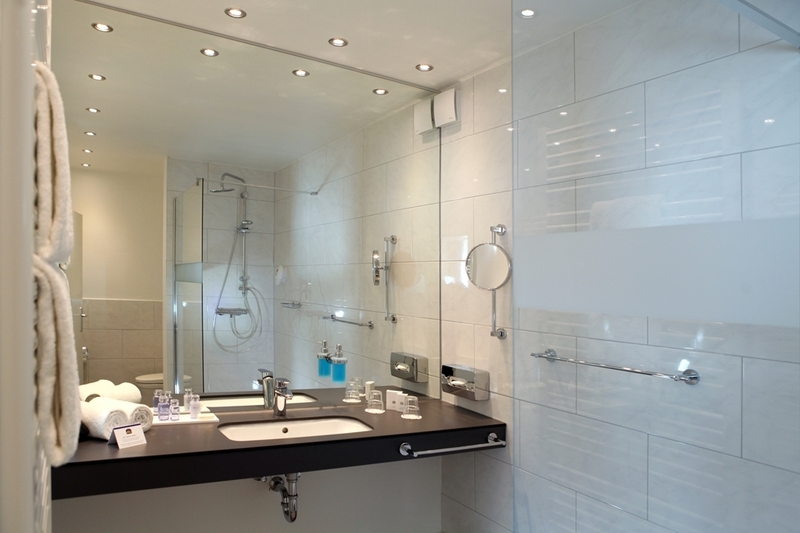 The bathroom is nice, big and with a closed shower unit. Water was hot (although took some time to come out) with a towel heater. It has a great Gym and Spa facility including a very good swimming pool, but to get there you need a road map :) Breakfast was quite nice with plenty of varieties to choose from. WiFi connection and speed is very good. Location is excellent for Tram transportation, buses and even a train station just in front of the hotel. Plenty of restaurants (mostly fast food) around. Overall, I can say I was satisfied with this hotel, and if I could I would give it a 4.5 star rating. Some more attention at the reception desk is needed as you feel as though dealing with pure robotic official procedures. Thank you very much for your feed back. We are happy to hear, that you enjoyed the stay with us and would be very happy to welcome you again. We will check, how we can improove the Service at the front desk. The hotel is fair. The room was too tight but clean and the furniture was old. Bathroom is tight but clean. There was a sofa and an office desk very useful for business travelers. Breakfast was wonderful, comparing with the room I can say that was a great surprise. Great options of breads and cheeses. Hot and fresh options. I recommend the hotel only for businesses staying. Thank you very much for your feedback. We are sorry, that we could not exceed your expectations in every respect. This hotel was in a great location, right across from the station and lots of food choices. The breakfast was well worth it and my daughter really loved the American style bacon. I had a bit of a bummer moment with the spa, as we checked in at 4ish and were checking out by 11 the next day. My daughter really wanted to swim and I was hoping we could do that with a 24 hour pass (the spa is 6 Euro per person, per day) and get two quick swims in. They would only allow that with the purchase of 2 separate day passes for each of us, so 24 Euro to let my 6 year old swim was a bit expensive to me. She was pretty bummed that we could not go swimming but rolled with it thankfully. Also, they advertise parking, however it is only suitable for smaller vehicles and mine did not fit, forcing us to park on the street. "After several stays, still going strong"